Earthworms help a garden grow. But they can also make lawns a nightware. 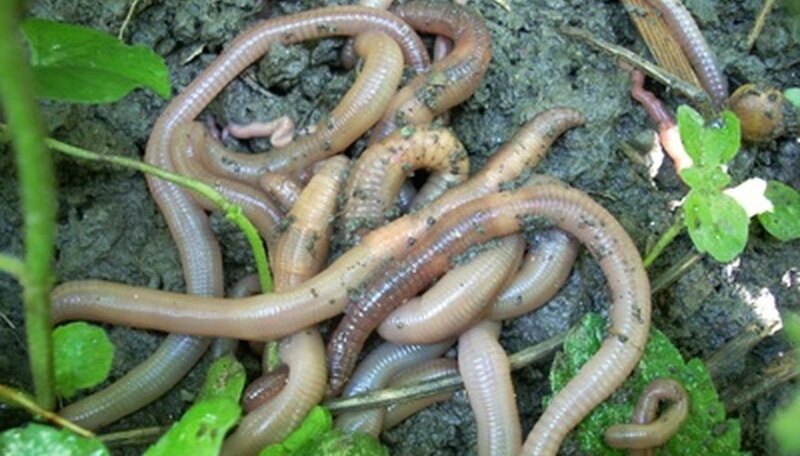 Earthworms produce castings, small piles of slimy, digested earth. These castings, if present in large enough numbers, can be a real problem. They are slippery and unsettling to tread on with bare feet, they make lawnmower blades dull, they encourage weed growth and they leave ugly brown piles all over otherwise attractive lawns. Unfortunately, there are no vermicides prescribed for use on earthworms on the market in 2010. However, carbamate-based pesticides used to kill grubs will kill earthworms as well. Water your lawn with 1 to 2 inches of water. Spray the entire amount of pesticide in your lawn sprayer evenly over the entire lawn. Water your lawn again, with 1 to 2 inches of water. Spray your lawn again, as necessary until the worm population is eradicated or reduced to an acceptable number. Lawns with poor drainage are prone to an abundance of earthworms. Popular carbamate pesticides include Tucam (bendiocarb), Sevin (carbaryl) and Baygon (propoxure).